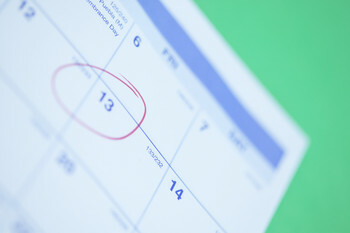 Are you one of millions who believe Friday the 13th is an unlucky day? Although Friday the 13th superstition has quite a history, I suggest you don’t pay much attention to it. Instead, look to making your own history and creating your own kind of luck. Don’t rely on luck. Your greatest leadership success will come from surrounding yourself with strong people and having them work together as a team. You’ve likely heard of “Luck of the Irish,” but have you heard of “Luck of the Leader”? “Luck of the Leader” means demonstrating you care, being stellar with your communication, and embracing accountability. In the spirit of Thomas Jefferson, know that additional luck (success) will result from working hard, working smart, and always doing the right thing. If you are a leader who practices this leadership tip, I feel confident you will have “Luck of the Leader” every day of the year-including Friday the 13th.